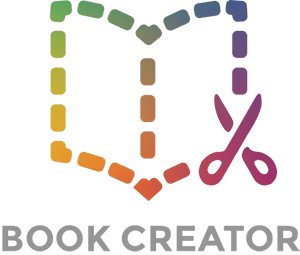 With Book Creator 4.1, we added the facility to create bookshelves to better organise your books. 1. From the My Books screen, tap the dropdown in the centre of the toolbar. By default it will say All Books. 2. Tap the New Bookshelf link and type in a name for the bookshelf. You'll see that by default there is already a 'Recently Deleted' bookshelf. From here, you can retrieve deleted books. 1. To add books to the bookshelf, there are two ways. First, you can tap the + icon beneath a book and tap the Move to Bookshelf option. Then choose the bookshelf you want to add your book to. 2. The other way allows multiple books to be added. Tap the Grid icon in the top right and you will see all the books on your shelf. 3. Now tap Select in the top left of the toolbar. 4. Tap on any books you want to add to a bookshelf - when selected they will have a tick mark in a blue circle on them. 5. When ready, tap the Move link in the top right and then choose the bookshelf you want to add the books to. Tap the dropdown in the centre of the toolbar and you can navigate to any bookshelf you have created. You can then toggle the view between the bookshelf view or the single view by tapping the Grid icon, or, if viewing the bookshelf layout, tapping on any book. If you want to move a book out of a bookshelf, tap on the + icon beneath your book and tap Move to Bookshelf. You can move it to the All Books bookshelf and it effectively removes the book from any shelf. Every book will be listed under All Books, and can only be filed under one bookshelf at a time. To delete a bookshelf altogether, tap the dropdown to access your shelves, and then either tap Edit and delete a shelf using the icon, or simply swipe left on a shelf name and you'll see the red Delete button. If you delete a bookshelf, it does not delete the books. Any books in that shelf will return to the 'All Books' bookshelf.